I had originally written and posted this as a “RAK” article about this time in 2015. But July has been a really rough month, and I felt perhaps this week’s Monday night article needed to have a more emotional touch to it versus it’s usual analytical Mythbusters article. 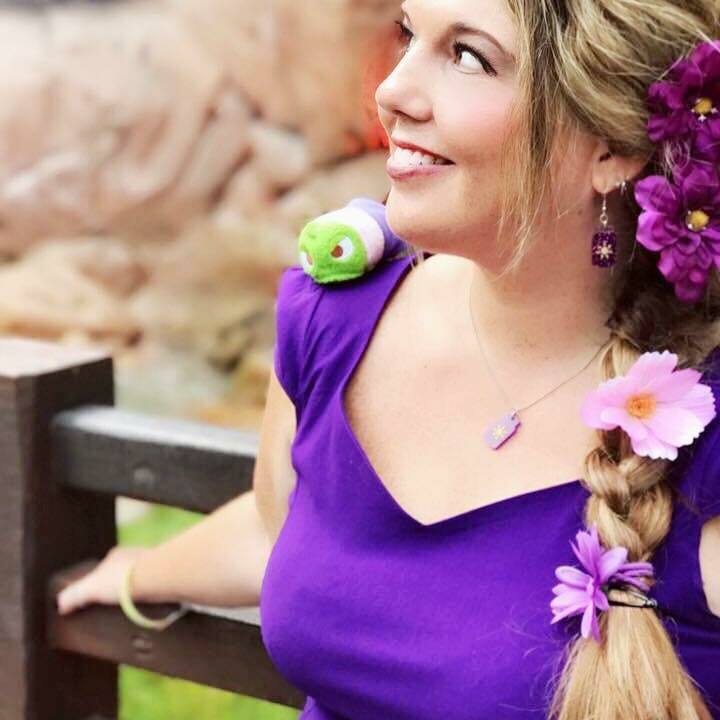 To be honest I had been thinking about sharing this article again for awhile because of FB group posts I have recently where people ask “How do I get the most free stuff out of their birthday, anniversary, or first visit. How do I ensure I will get this type of Disney magic.” Magic my friends is made, it is not promised or ensured. Expecting magic, or worse yet demanding magic turns it into entitlement. And entitlement doesn’t look pretty on anyone. The article below wasn’t written to get kudos for spreading magic. It was written to share the importance of paying it forward and more importantly it gives us a chance to spotlight the Cast Members and Guests mentioned. Many times I see posts and reviews where people complain that CMs didn’t go above and beyond to make magic for them. My response to those comments is always “Magic isn’t magic when you expect or demand it to happen, and it is just as important to MAKE magic as it is to receive it.” So why don’t we take a moment to discuss why it is just as important to create the magic behind RAKs as it is to be on the receiving end of them? As many of you know my husband Drew and I don’t have kids, but we have some amazing ni-phews here in Virginia and in Florida. In our travels to the parks we try and remember to recognize that though Disney is a magical place, the key to that magic is that creating magic for others is actually more important than receiving it. I would much rather take time out of my trip to make magic for another guest than to be on the receiving end of magic. Why? Because making magic not only adds special memories to YOUR trip, it creates special moments in the memories of OTHERS trips. Those special moments that you make for others will hopefully those people to make magic for others just for the pure joy of it. My reason for writing this article isn’t because I want personal attention nor do I want thanks. What I want to do is encourage YOU to make magic for others. 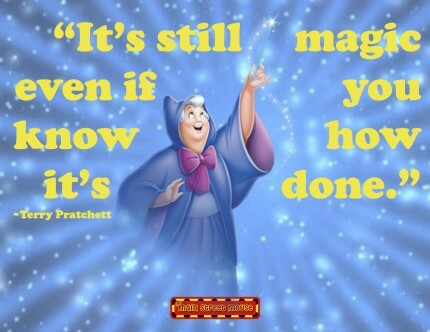 Because honestly, making magic for others isn’t hard. Disney, as most of us realize, is for the child in all of us. Drew and I try to make magic in some way every time we are in the parks. We are those adults that reply “It’s ok we are having fun talking” when you parents apologize that your child has started chatting us up in that hurried excited Disney manner that they tend to exhibit in the parks. We know you think they are bothering us, but in all honesty we are having a ball seeing Disney through the eyes of a child as neither of us went to Disney when we were kids. Nothing makes a day in the parks more magical than the laughter of a child when they see their favorite character and because of that I have NO issue letting a young child go before me in character lines. The smile on the face of a child when an adult not only pays them special attention while treating as if they are an equal regardless of their age is priceless. When we are playing the Sorcerers of the Magic Kingdom card game if a child inquires about trading cards, once they know what card we need we do our best to ensure they receive at least two cards back in return for the one they giving us. I try my best to get Mickey stickers at my resort, not for personal use, but to have on me in case we see a younger park guest that is in need of some magic, or that we have been talking to in the queue. Seeing the eyes of a little girl light up when you call her princess, or better yet when you refer to her as the princess she is dressed like. It’s also fun to see younger boys grin when you joke with them in a pirate voice or ask about their Jedi experiences when you see them in pirates or Star wars items. Ever call a stroller a magical coach, star fighter or parade float? I have to tell you, once you see a kid’s giggling reaction to that it’s hard to be annoyed at those near stroller collisions you may have had earlier in the day. I have even been know to sit on the floor next to a table in Ohana and discuss a turning UK travelers holiday trip with her. I learned it was her birthday, we discussed her hotel, and as she did that very serious forehead to forehead discussion thing children sometimes do, I was informed I am not an adult. I am in fact a tall child. The smiles we receive from parents during those moments are magic in their own right, as you can see that the parents appreciate you, a total random stranger, taking time out of your day and vacation to make their child feel special while having no expectations of receiving anything in return. In my opinion, guests shouldn’t be the only ones on the receiving end of magic; Cast Members should be graced with magic as well. Using my manners, accepting that some things are out of the control of Cast Members, and just appreciating them are some ways I feel I can bestow magic on CMs. I also try to let Disney know when a Cast Member is doing an excellent job. Sometimes I just let a manager know that the CMs we have dealt with in their facility have been wonderful and that they are all doing a great job. When all possible I will stop in Guest Relations to have an applause card filled out for a CM that has gone above and beyond. Also, when a CM is able to just talk for a few moments, I like to just talk to them. In the case of the younger CMs I like to ask how they are enjoying the college or international student program. With seasoned CMs it is fun to ask about how long they have been with the company etc. It is wonderful to see CMs smile when they realize guests DO care about them and their hard work. Recently Drew and I were on the Disney Vacation Member Cruise to Alaska. Being the Disney people we are we signed up for the Fish Extender swap. At the last minute I decided I wanted to add a custom photo album to the gift we were leaving. I sent some of the cruise graphics that I had purchased from a friend that makes graphics and took them to CVS and due to some issues on their end, ended up with double the amount of albums I needed. Out of respect to the sponsor I contacted her and for permission for my plan. After getting her approval I took all of the completed autograph books with me to the Wonder. Throughout the seven day cruise I would randomly leave the spares in Fish Extenders I would see in the hall or hang them on cabin door handles. The most fun I had with this idea was in the Anna and Elsa meet and greet line. We gave one little princess an album as she was standing in line behind us and her grandparents were lamenting that they had forgot to buy her and autograph album. Because I also had the package of autograph cards that I usually carry at Walt Disney world in my backpack with me, I also was able to give a princess in her Anna costume the Anna and Elsa cards autograph cards I had to use. Their smiles and excitement are magic I was able to carry home with me. I ended up giving the remaining books to one of the entertainment CMs. I asked him if it would be ok to give them to him, as I thought he could hand them out to children in need of some magic on future sailings. He was beyond excited to have another way to create magic and was super appreciative that I would even think of providing him with something so unique. Of course we also have magic for the amazing CMs on the Wonder too. Two of the entertainers I think we made magic for by just enjoying ourselves and letting them know that. I think that because Drew and I and the rest of our dinner friends were excited to be involved in the Pirate Party game event they were hosting it really made their day. These two hilarious CMs said that our very small group was by far the most excited, loud and involved group they had seen in months at that particular show. They would crack up when we would call them by their pirate names (Chumbucket Chad and Bishwish Tina) whenever we saw them throughout the rest of the cruise. Another CM we made magic for happened to be the first CM we met coming onto the ship. She had just transferred to the Wonder and she had remarked that she loved the Big10 sweatshirt I was wearing. For the next seven days whenever she saw us she would make it a point to say hi and see if we were enjoying ourselves. Because she had been so sweet, and knowing she had a new CM cabin to decorate, the last night of the cruise I hunted her out and gave her some of our cabin door magnets that I had made using TMSM graphics. I was so excited to learn that one of those magnets that I had randomly pulled from our cabin door while packing had her favorite Disney Movie Quote of all time on it. Making Disney magic truly is, in my opinion more important than being on the receiving end of it, because when you make magic you honor the dreams Walt himself had regarding the parks. So the next time you are in a Disney Park or on a Disney Cruise ship take a few moments to make your Disney time about someone else by making magic for them. Hold a door for someone, complement a stranger on their Disney shirt, take a moment to show interest in the person next to you on the bus, and instead of getting annoyed play peek-a-boo with that crying baby at the table beside and see if you can get them to smile or even by paying for their coffee or popcorn. I encourage you to be a part of the dream and make magic for others. Making magic for others is infectious and addictive. I promise you, the first time you make magic for others you will want to do it again and again because it let’s you be a part of the Disney magic in a totally new way!